There is confusion about succession after Self's death for which I list a number of possible explanations. No know issue according to most records, but the eminent antiquary, Robert Vaughan, gives him as the father of Beli , usually attributed to his brother Eiludd. Not all accounts include this name and some confuse him as King instead of his brother Manwgan, while others have him as Eiludd ap Cynan . Said to have erected a memorial stone to his father at Llattysilio-yn-Ial showing his full pedigree . The ab Eiludd surname suggests Beli was the son of Eiludd ap Selyf, not Manwgan ,  &  or Eiludd ap Cynan , , although that would be unlikely, given Eiludd ap Cynan died 22 years before Beli was born! However, all are directly in line from Brochfael Yagythrog. Beli is Not related to the usurper Eiludd ap Cyndrwyn. Cyngen b.750, most probably father of Aeddan ap Cyngen (proposed by Darrell Wolcott  and supported by the Harleian MS  where he is "Aeddan ap Cyngen ap Brochwel". In 778 Offa [of Mercia] devastates the South Britons . Offa drove Cadell from his capital (Pengwern), renaming it Scrobsbyrig (Town in the Scrub), later Shrewsbury. The new capital was in Montgomeryshire near Meifod. The new border still bears the name Offa's Dyke . Cadell remained the ruler of Powys during Cenwulf's oppressive reign of Mercia, but died before Cenwulf's invasion of Wales. Ieuaf ap Cyngen b~802 i.e. Gryffydd ap Cyngen b.~806 or 780 d.814 (killed by Elisedd ). As he had 4 children, Maun, Maig, Artan & Ieuaf, the second birthdate is more probable!! However, about 850 Cyngen builds a 12 foot Pillar of Eliseg (Elisedd or Elise), near Llangollen to recount (in Latin) his pedigree and victories, as well as his g-grandfather Elisedd's reclamation of Powysian territory from the English. Cyngen was the last native king of Powys. Some claim he had been a weak ruler (or perhaps a puppet ruler), so he abdicated or was laid aside in favour of his "iron fisted" sister Nesta thus merging the crowns of Powys and Gwynedd. He was murdered while on a pilgrimage in Rome by his own servants  in 854,  so as Mervyn the freckled had been killed fighting the English also in 854, Nesta's son, Rhodri Mawr became sovereign-paramount of Wales, reigning 854-878 (Rhodri the Great). At least two genealogies , [60a] give Aeddan's birthdate as 855, which would make him a father (of Brochwel) at 75, quite reasonable if he had a younger wife. Killed by brother Elisweg (Elisedd) who never inherited either because the throne passed through Nesta Ferch Cadell to her son Rhodri Mawr or the invading Mercians set up a puppet (?Cadweithian). However, the theory which at this point best fits the problem of both dates and generation numbers is that Aeddan's father was not King Cyngen but Cyngen ap Brochwel. It is also possible that Cadell ap Brochwel ab Aeddon should be listed as a son here and that he had a daughter Nest who married Gwerystan ap Gwaethfoed and they had Cynfyn ~985. His sons Rhiwallon ap Cynfyn (d.1070) and Bleddyn ap Cynfyn (b~1025 d.1075) subsequebtly regained the kingship of Powys (in 1069) after the death of their half-brother King Gruffudd ap Llewelyn in 1063 ,  . This Bleddyn was the ancester to the Lords of Nannau. It is interesting to note that Elizabeth Lloyd, the wife of John Blayney (Resposible for the 1636 ornate oak carving in the Gregynog "Blayney Room"), was descended from Rhiwallon ap Cynfyn and the Rhiwallon heraldic "lion rampant" is on one quarter of John & Elizabeth's Coat of Arms. ?Beli of the Garth (parish of Guilsfield) b~1170, from whom many leading Montgomeryshire families trace their descent . Meilyr's wife Dyddgu ("co-heir of Meredydd") ap Robert (Rotpert) ap Owen Gwynedd  is not the same as Dyddgu ferch Maredudd (b~1047) ap Bleddyn (Prince of Deheubarth) ap Cynfyn ap Gwerystan (b~955) ap Gwaithfoed (m. Nest b~954 v Cadel(l) (b~928) ap Brochwel b~928 ap Brenin) unless one accepts Darrell Wolcott's theory below. Nor, I believe, is she the same as Dyddgu verch Maredudd (c.1211 - 1244, Lord of CARDEWEN) ap Robert ap Robert ap Llywarch and Dyddgu verch Iorwerth . The evidence is that she was the same individual as Jane ferch Robert [842a] (Rotpert), born in Cedewain (late 1100s), heir of her brother Meredith ap Rotpert (who became a monk). * See more about Dyddgu and her link to the Vikings. Born in Llwyn Melyn (Llwynmelyn), Tregynon (Powys). Lord of Westbury and Whitton (in Shropshire), Baron of Twgynon , (where he lived ). I would support the 16th "in lineal descent" as in: Meilir Gryg ap Gruffyd ap Iorworth ap Owain ap Rhodri ap Gwaeddan ap Brochwell ap Aeddan ap Cyngen (not the last King) ap Brochwell ap Eliseg ap Gwylog ap Beli ap Eiludd ap Selyf ap Cynan ap Brochfael Ysgythrog. Darrell Walcott believes that "the pedigree evidence demands a Meilyr Gryg born c.1025, but also one born 5 generations later" with (an amazing) repeat of family names [60e]. While this may appear to resolve some chronological problems (and separate Dyddgu from Jane), it (and his criticism of Bartrum "Welsh Genealogies" [60f]) is not generally accepted as valid . The pedigree (with births) suggested by Darrell from Eliseg (of the Pillar) is: Eliseh (685), Brochwel (715), Cyngen (750), Aeddan (785), Brochwel (820), Gwaeddan (855), Rhodri (890), Owain (920), Iorwerth (955), Gruffudd (990), Meilyr Gryg (1025), Llewelyn (1060), Einion (1095), Llewelyn (1130), Llewelyn Fychan (1160), Meilyr (1190), Llewelyn (1220), Einion (1250), Llewelyn (1285), Llewelyn Fychan (1315), Gruffudd (1350), Evan Blayney of Gregynog (1385). Lodge's "Peerage"  has "Meyler Grygge ap-Griffyth living in 1179 and married to Dyddgo, daughter and heir to Robert ap-Owen Gwyn ap-Griffyth ap-Conan" with their son "Lluellyn, or Lleowlyn ap-Meyler Grygge, who by Alifon, daughter and heir to Robert ap-Llowarth ap-Traharn ap-Gwyn ap-Collyn had Gignion..."
Einion (Gignion) b.1260(6); d.1316; (of Neuadd Gregynog) was the youngest son . Arddun ferch Llywelyn ; m. Gwyn ap Madog and begat Annes v' Gwyn and Ieuan ap Gwyn. Lleski (Lieski) ferch Llywelyn m. Rees ap Llewelyn (son of Llewelyn Vychan Lord of Yale) . Their son Einion was Lord of Yale and his son (Iorwerth) was father of Trehaiarn who married Dyddo ap Meredith of Cardewen  . Born in Llwyn Melyn (Caerfyrddin, Powys). Alswn ferch Robert (Alown/Alson/Alice) was dau and heir of Meredith ap Robert [842a] ap Robert, ap Llowarch ap Trahearn (Trahaern/Traharn) (<1211-1244) Lord of Cedewain (Cydewain)  . Other genealogies have her the dau not grand-dau of Robert  . Obviously this has been a potential source of confusion with Dyddgu ferch Meredydd ap Robert ap Owen Gwynedd, the wife of Meilir Gryg [as in the 1633 Cedwyn Manuscript  where she is given as Alson, dau and heir of Robert ap Llowarch ap Trahaern ap Gwyn ap Collwyn ap Ednowain ap Bleddyn ap Bledrig ap Kaenawr Mawr]. We also find that Lewis Dwnn shows Alswn, daughter and co-heir of Meredydd ap Robert ap Llowarch ap Trahaiarn, Lord of Kedewen married to one Einion ap Cynvelynn ap Dolfyn ap Rhiwallon , suggesting she may have remarried at some stage. The 1633 Cedwyn MS pedigree for Gwenhwyfar is a little different, as dau and heir of Philip ap Philip ap Einion ap Kynvelyn ap Dolphyn ap Rhywallon ap Madoc ap Cadwgan ap Bleddyn ap Cynvyn . However, S P Thomas believes that Gwen was the dau of Einion ap Cynfelin Dolffin, descended from Rhodri Mawr (son of Nest, descended from Brochwel Ysgithrog) . b.1370 (Tregynon in Powys) d.1430 (Tregynon born & died in Tregynon (Powys). Angharad (Angaret) m. Meredydd ap Davydd. Elen Vychan was born at Mathafarn (Mathavern), the daughter of Llywelyn ap Dafydd ap Ifan (Jem/Ieuan) Lloyd (Esq of Mathavarn) ap Llewelyn ap Tudyr (Tudor of Incharvan) ap Gronwy (Gronw) ab Einion ap Seisyllt of Mathafarn. Seisyllt was Lord of Merionydd  and apparently descended from Welsh princes , . Born in Tregynon (Powys). He was the "stag of gentle birth" of the poet Lewys Glynn Cothi , in his poem addressed to Gruffydd and his brother Owen ("the Swans of Tregynon") and their beautiful characters . Born in Tregynon (Powys), buried Tregynon (Powys). Catrin m.Gruffudd ap Ievan Goch . Born and buried in Tregynon (Powys). See David Lloyd for more info. * See more about David Lloyd. Born at Gregynog (Powys), High Sherriff of Montgomeryshire 1577 & 1585. There are some differences of opinion on his parents, siblings, wives and children. Note1: There appears to have been two sons named Thomas ?to different mothers (see above). This is confused by Rowley-Morris who has the daughter of Capt Thomas Blayney marrying into the Browns of Limerick. Note2: Gwyn ?? = Jones, but more likely, Jones has been used incorrectly in "The Peerages"
* See more about Edward 1st Baron. Born at Gregynog (Powys), died at Castleblayney, Ireland. * See more about Sir Arthur. George Blount (captain) of Kidderminister, with whom she had Elizabeth Blount who married Robert Blayney. * See more about Henry 2nd Baron. Born at Castleblayney (Ireland), killed 5Jun 1646 at the battle of Benburb ,  Tyrone. Jane was the second daughter of Sir Garrett MOORE, 1st Viscount Drogheda (1564-1627), and Mary Colley (~1570-1654)]. 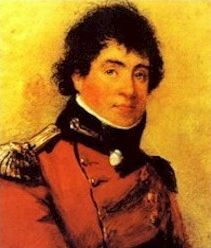 Born at Castleblayney & died in London, England after selling estates to Thomas Vincent. Born at Castleblayney, married Thomas Vincent's daughter (1653) returning the estates back to the Blayney family and died 1670 (Dublin). Elizabeth was the eldest daughter of Thomas Vincent of London. No male heir, so Henry's brother William inherited the title. Born at Castleblayney and died in London after selling much of the Monaghan estate. Margaret was the dau of John Moore, 1st Lord of Tullamoore. * See more about William 6th Baron. Born at Castleblayney, died in Dublin, Ireland. * See more about Cadwallader 7th Baron and his family. In 1723 Baron Cadwallader sold part of his estate to the Upton family of County Antrim . Mary Touchet was dau of Hon John Touchet and Elizabeth Saville. * See more about Charles T 8th Baron and his family. Elizabeth was dau of Nicholas Mahon Esq by Eleanor Blayney, dau of the 5th Lord Blayney, ie 2nd Cousin to Charles. 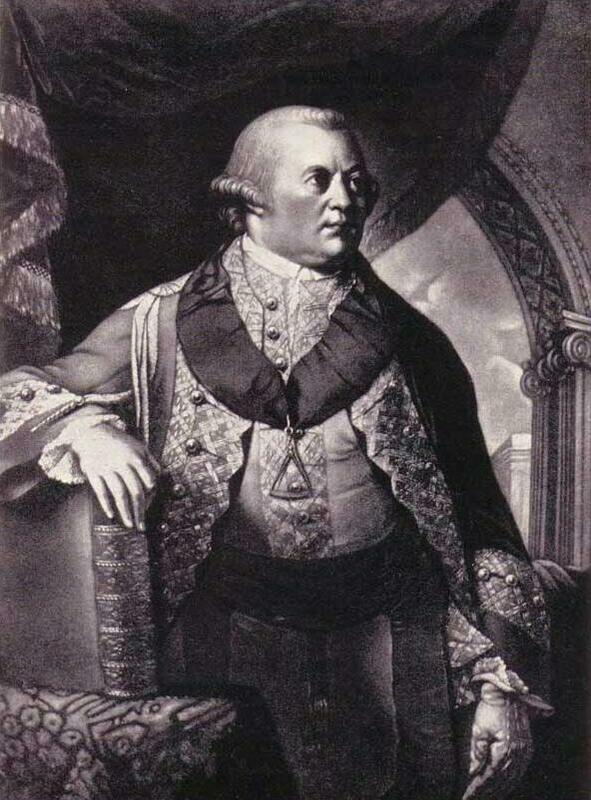 Charles became Governor of co Monaghan and MP, he formed the Dublin Hellfire Club but subsequently became a clergyman. Cadwallader Blayney became one of the most famous and influencial Freemasons in Britain. None as it appears that he died unmarried at 14   or 15 . Succeeded to the title of Lord Blayney in 1775 but died without heir in 1784 so the title went to his brother Andrew. Charlotte Sofia [m.1833 Frederick Angerstein] d.1863. Andrew Blayney held the title for 50 years and is probably the most famous of all the Blayney Barons. Born 1817 (1802, 1803)  (21Feb 1803) at Castleblayney, died Jan 1874 in London "without issue".